REGISTRATION DEADLINE: Noon Eastern time, Monday, April 15! Email me if you'd like to be added to the APRIL MEETING! Even if you've attended prior meetings, you need to let me know you'd like to join for April! 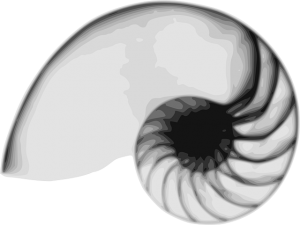 For many years you've heard me talk about my favorite metaphysical books, and now is your chance to discuss them with me - and suggest some of your favorites! We'll discuss a different book each month. You will need to have read the book of the month before we meet and be willing to participate in a lively discussion! The Dance of the Dissident Daughter by Sue Monk Kidd is our APRIL AND MAY book club topic. Here's what you need to do to join the club: Deb & Friends Wisdom of the Sages Book Club is offered via teleconference. All you have to do each session is dial a telephone number, and you’ll be connected to me and your fellow book lovers from around the globe! We meet for one hour each month on the dates noted above. Register NOW for Deb & Friends Wisdom of the Sages Book Club. When I receive your email registration at the above email address I’ll send you a confirmation email requesting that you respond so I know I have the correct email for you (this is important for me to send call-in instructions!). Club enrollment is limited, so register early and invite a friend! Three-Session Course Thursdays, February 7, 21, & 28, 2019 8:00 - 9:30 pm EASTERN time Prerequisite: Completion of "Unlocking the Mysteries of Tarot"
This course is not only a continuation of "Unlocking the Mysteries of Tarot," but offers more depth to your working knowledge of Tarot. In this course you'll learn how to: 1. strengthen your intuitive skills in working with the keys 2. incorporate other psychic tools into your work (crystals, pendulums...) 3. work with additional spreads 4. use the keys for prompts in writing, story-telling, and more 5. work with the keys in meditation and more! AND ……. When you complete this course, you’ll be invited to join my on-going weekly Tarot Forum for only $89 for four sessions per month, where you get support in your Tarot journey, and support others' Tarot journey by doing practice readings, discussing Tarot symbolism, working through issues that come up in readings, and so much more!! And I’ll be there to support you! AND....... You'll be invited to join my NEW Deb & Friends Wisdom of the Sages Book Club FREE! 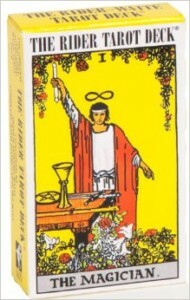 Deeper Mysteries of Tarot is taught via teleconference. All you have to do each session is dial a telephone number, and you’ll be connected to me and your classmates from around the globe! We meet for one and one-half hours each week for three weeks. 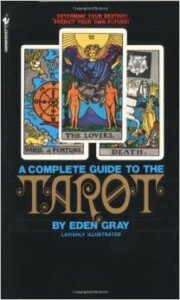 Here’s what you’re required to have in order to successfully complete Deeper Mysteries of Tarot: Because you have completed my Introductory course (Unlocking the Mysteries of Tarot), I assume you own the original Waite Rider Tarot Deck and Eden Gray's "Complete Guide To Tarot" book (both pictured below.) They are REQUIRED for this course. Additional books may be recommended! Register NOW for Deeper Mysteries of Tarot. When I receive notice from PayPal that you’ve registered, I’ll send you a confirmation email requesting that you respond so I know I have the correct email for you (this is important for me to send call-in instructions and handouts!). Course enrollment is limited, and this course always fills, so register early!